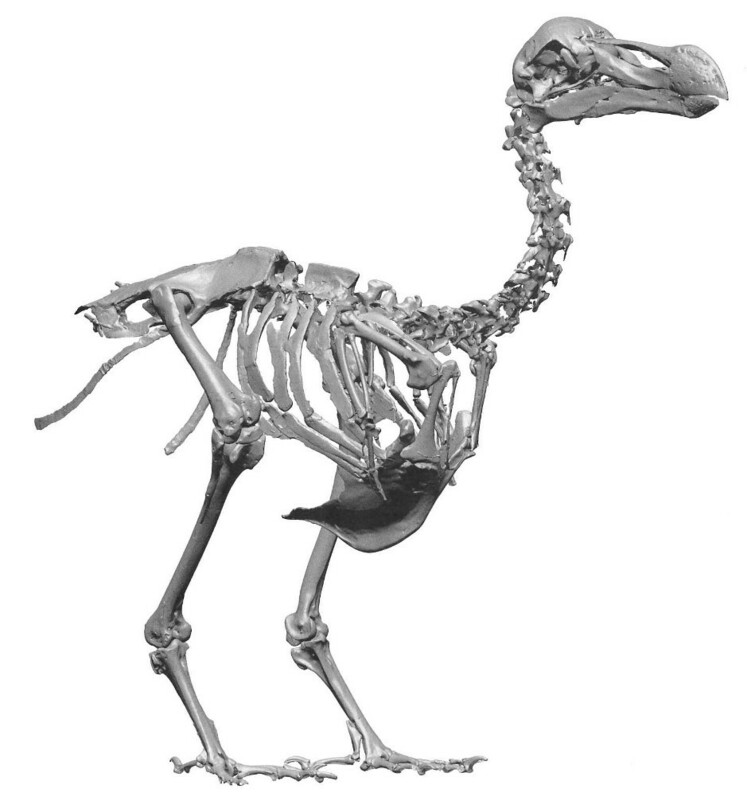 The dodo (Raphus cucullatus) skeleton on exhibit at the Durban Natural Science Museum is one of two unique skeletons discovered and assembled more than a century ago by the amateur naturalist Etienne Thirioux. Thirioux’s two dodos are unique, not just because they are the most complete skeletons in existence, but also because they are the only two skeletons comprised of the bones of either a single individual bird (the Port Louis dodo), or the bones of (only) a few different birds (the Durban dodo). In contrast, all other known dodo skeletons are incomplete and are typically put together from separate fossil bones uncovered at a marsh called the Mare aux Songes. 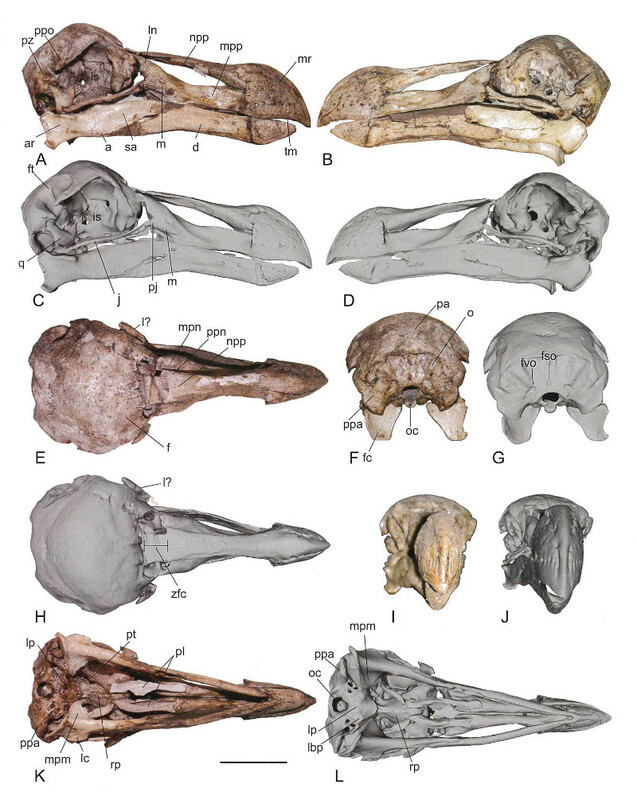 Anatomy of the dodo (Raphus cucullatus L., 1758): An Osteological Study of the Thirioux specimens. Leon P. A. M. Claessens, Hanneke J. M. Meijer, Julian P. Hume, and Kenneth F. Rijsdijk (Editors). 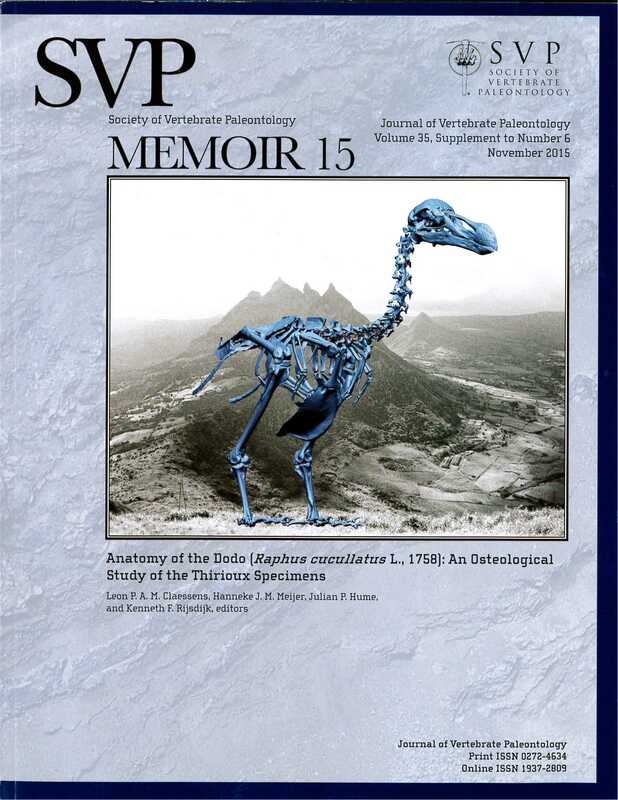 Society of Vertebrate Paleontology Memoir 15, Journal of Vertebrate Paleontology Vol. 35, Supplement to No. 6. We are pleased to make the Thirioux dodo skeletons available to the public for viewing on Aves 3D and Sketchfab. Please enjoy these wonderful scans of the skeleton of a fascinating bird, and check back on the site frequently, as we continue to upload more new dodo bone scans each week. Congratulations, Leon and team, on a landmark publication. And thanks for all the free dodo visualizations! For previous dödö-related musings, please see this pöst.